I built these two last year. This probably my 6th version of a design I modified. I am obsessed with building the perfect Adirondack chair, LOL! Going to start another chair soon, again, with a slightly different design, hopefully an improvement from what you see here. As someone who has built a lot of adirondacks, can you share some wisdom about what makes a good one? What has worked and what hasn’t? I’m in the middle of building two for my parents’ 40th anniversary, and I’m trying to decide how to join the leg and arm assemblies. Thanks Norm! I have a couple that I built the back as 33”. The one in the picture is 31 1/2. Still can’t descide what I like better. @Dgar. I think it all comes down to a good plan and personal prefrence. I started by making a couple for my wife and I to sit on a porch of house we rented out in the country. The plan is liked the most was “Jakes Chair”. I made about 6 diffrent versions, changing the plans as I went along. The front legs are 2 7/8” stock glued together. I did that for extra strength, and hiding screws. So now when I attach the legs to the chair and arm stretcher, I screw some of the parts together, than glue the two halves together to hide any screws. I can post pics of this if anybody is interested. I also found stainless steel wood screws are the best. I only glue and screw the main parts, seat slats, back slats, etc I just screw together. Are you trying to build this from scratch, or do you have pics or plans to follow? I’m building them based on some chairs that my in-laws have had for years. They’re incredibly comfortable, but the joinery is simply screws and bolts, and they’re pretty wobbly after 15 or so years outside. 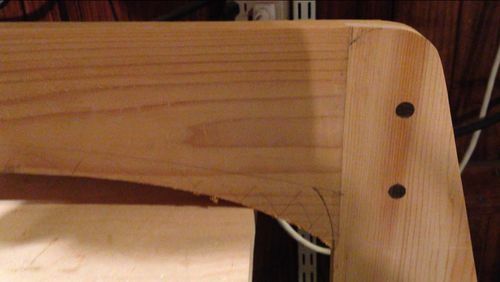 I’m using the same dimensions, but (hopefully) better joinery. The arm assemblies are together, and I have all the other parts cut to size. 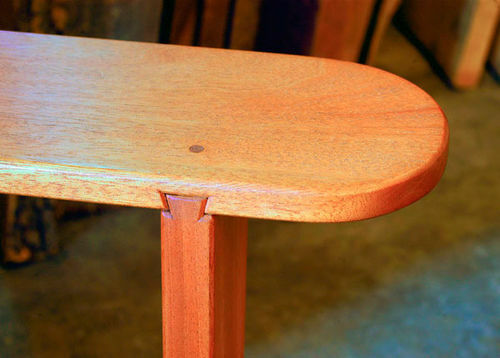 I don’t know exactly what to call the joint – a drawbored dovetailed half lap? 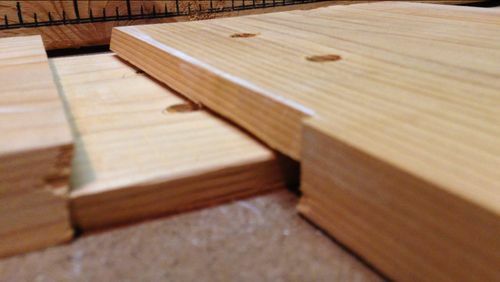 The shoulders and corresponding mating surface for each lap are angled, and the pins were offset so that when driven home, they pull the joint together in two directions. They’re glued with TB3, but no screws. It’s a solid joint now, but I wonder what a few years in the sun and rain will do to them. I’m using Western Red Cedar, and I go back and forth on the finish. Simple teak oil, or a heavier varnish? These chair will sit outside all year long, unprotected, in Houston. 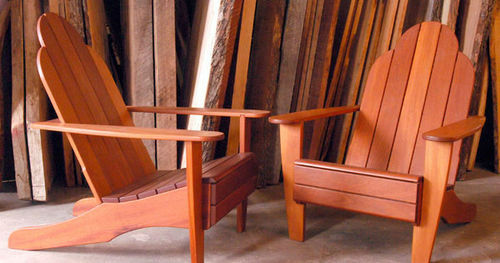 I’d prefer the teak oil for simplicity, but how will cedar stand up to the elements? This looks nice and comfortable. Congratulations. @Dgar, that looks really nice! I like the look of the joints, awesome. I’ll have to check out his design. I have never used wood dowles outside, but I heard of this being done. I’m also going to try pocket screws for the back slats. My back support is thick enough to screw from underneith. I like the look of less screws. As for a finish I would check out Sikkens Cetol 1. I plan to use this on my next chair. It’s pricey, but I heard of good things about it. There is a company in Canada that uses it, and their chairs look great! I plan to put on 3 coats, that should buy me a few years outside here in Wisconsin. Keep us posted, I would like to see how it turns out! I make mine from douglas fir. Nice chair Bob! I hope to sell a few more this year. It takes me about 22 to 28 hours to finish a chair. 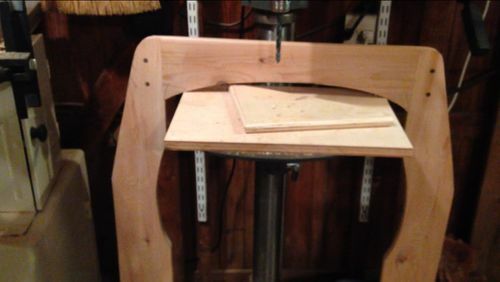 I don’t have a router table, only a hand one. So that takes alot of time, to clamp, and rout by hand. 13 slats alone for the seat. I’m hoping to get one this spring.